Cape Town is a very popular destination for thousands of internal migrants who come here each year in search of work and a better life. But HIV/AIDS, high levels of unemployment and insufficient infrastructure still present a challenge for the majority. With a population of approximately 3.4 million, Cape Town is South Africa’s second most populous city and the capital of the Western Cape. Tourism makes a very important contribution to the local economy, with up to 5.5 million national and 1.8 million international tourists visiting the Western Cape each year. Cape Town consists of just over 900,000 households, of which 109,000 are informal dwellings. In total, 39 per cent of households live below the national poverty line of 200 US dollars a month. Over 200,000 households cannot meet at least one basic need such as safe drinking water, adequate sanitation, electricity or refuse removal. Cape Town has been consistently growing over the years. The majority of the internal migrants who come here settle in one of the townships around the city. Crime rates remain very high here, and children who grow up in these areas also face marginalisation and prejudice. Unemployment has been on the rise in Cape Town in recent years, from 20.9 per cent in 2008 to 25.8 per cent in 2010, leaving over 400,000 people without a job. Amongst economically active young people between the ages of 15 and 24 unemployment is even higher at over 50 per cent. In part, this is due to the fact that many young people drop out of school or do not have the necessary skills to find a job. 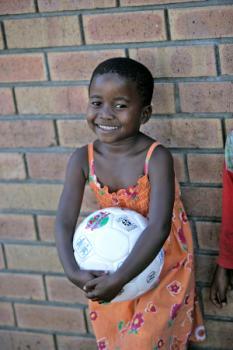 It is estimated that around one million children in South Africa live in a household where no adult can read or write. These children are at a disadvantage, as they have no one to help them with schoolwork and parents may not recognise the importance of an education. Great discrepancies based on race also continue to exist, and in Cape Town they are very pronounced. For example, while 51 per cent of white households have internet at home, only three per cent of black households do. Black children often attend schools where the quality of education is low, so the children are badly prepared for their later working life and it is hard for them to improve their social status. HIV/AIDS is a significant cause for the great extent of vulnerability in children and young people in the region. Around 25 per cent of South Africa’s 5.7 million people living with HIV are found here in the Western Cape, even though only eleven per cent of the country’s population live here. Efforts to make anti-retroviral treatment more widely available have been intensified and are showing results, but a great number of children who have lost the care of their parents, or whose parents are ill, urgently need support. 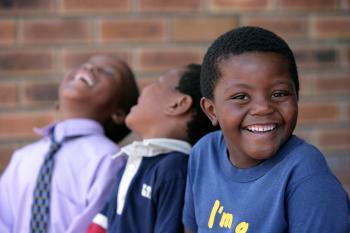 SOS Children’s Villages began its work in Cape Town in 1994. Today, our social centre offers a family strengthening programme to the local community, especially directed towards families affected by HIV/AIDS. We provide material and medical support and we help parents send their children to school, for example by covering school fees. We also provide guidance on income generating skills and we assist parents with social security and welfare issues. Another important part of our holistic approach is to offer counselling to those who are in need of it. To ensure the sustainability of all our efforts, we also organise HIV/AIDS awareness and prevention campaigns. The aim of all our activities is to help families maintain their stability and enable parents to meet their children’s needs so that a loving home can be ensured for every child. For children who are no longer able to live with their parents, 15 SOS families in Cape Town can provide a loving home for up to 150 children. In each family, the children live with their brothers and sisters, affectionately cared for by their SOS mother. The children attend the SOS Kindergarten together with children from the neighbourhood, which ensures that they are integrated into the local community from a young age. When young people who grew up in one of the SOS families feel ready to move out of the family home in order to study, receive training or work, the SOS Youth Programme continues to support them as they make the transition in to independent adulthood.